Melito coached 18 seasons at McClancy before hanging up his spikes after this past spring season. He amassed nearly 250 wins in his coaching career. A native of Maspeth, Melito played Catholic Youth Organization (CYO) sports at St. Mary’s Winfield, Woodside, and then played baseball and basketball at McClancy. He was a member of the CYO’s second-ever Hall of Fame class. 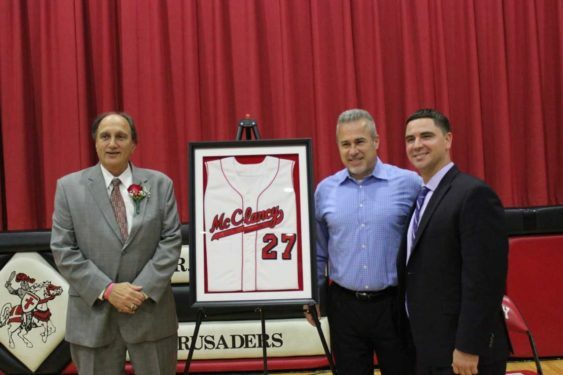 Thomas Cloonen, a 2009 McClancy graduate who played baseball for Melito, is the Crusaders’ new head varsity coach. 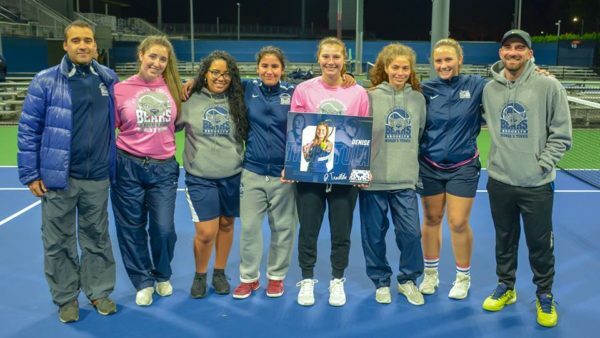 Denise Trerotola, a senior on the St. Joseph’s College Brooklyn, Clinton Hill, women’s tennis team, wrapped up her collegiate career on the team’s Senior Day Oct. 16. A graduate of St. Saviour H.S., Park Slope, Trerotola concludes her four-year college career with the most singles victories (22) and most combined victories (35) in team history. She has twice been selected First Team All-Skyline Conference. Nineteen of her 22 career wins came in the No. 1 singles position for the Bears. 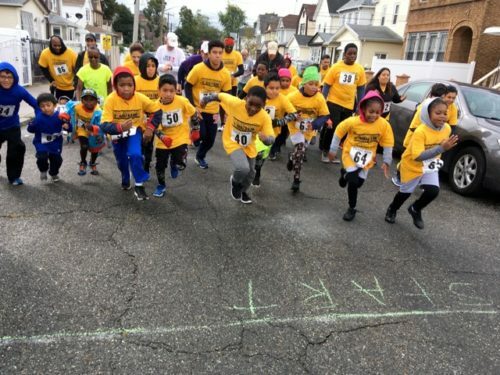 St. Clement Pope, Jamaica, held its annual Long Stride 1-mile run/walk on Oct. 13. In total, 41 runners – ranging in age from 2 to 73 – turned out to support the parish’s Catholic Youth Organization track team. In the men’s race, Faruq Lane, 46, of Brooklyn, took home first place, beating Arasu Jambukewakan of the Alley Pond Striders by less than a second. Michelle Nero, a 65-year-old St. Clement School alumna, won the women’s race. Earl “Spiderman” Carter, who played with the great Pelé on the New York Cosmos soccer club in the 1970s, helped present the awards.